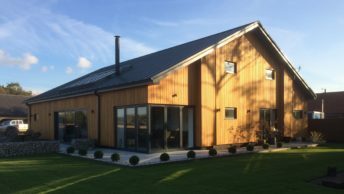 A home in rural South Norfolk has swapped an oil boiler for an air source heat pump and is now enjoying the benefits of renewable heating thanks to Finn Geotherm. 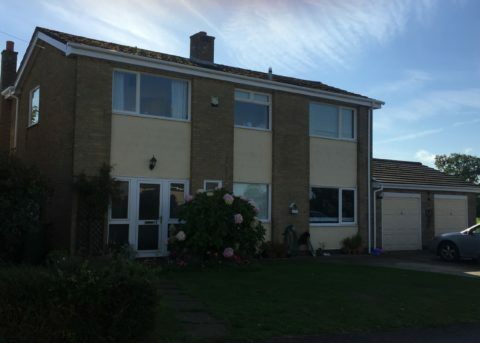 The five bedroom detached house near Wymondham was built in the mid-1970s. 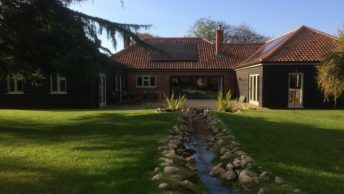 Homeowner Paul Tyrrell was still using the original oil fired boiler to heat the property, but when the oil tank needed replacing, he began to look for a more modern and cost effective heating system. 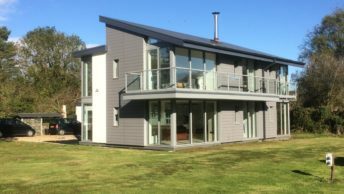 After completing a full site survey, Finn Geotherm specified and installed a Panasonic Aquarea T-CAP 9kW air source heat pump with 210 litre Dimplex EC-Eau Smart cylinder including a combined 75 litre buffer. 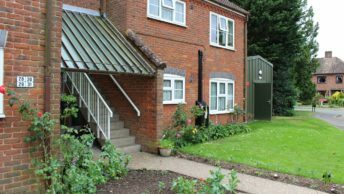 At the same time as the heat pump installation, Paul updated the rest of his heating system by replacing 12 radiators. 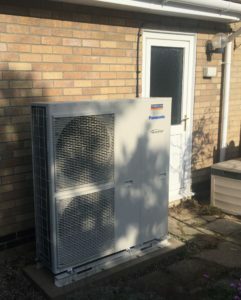 “My new heat pump is fantastic. The house is always warm and there is plenty of hot water, even if we run two consecutive baths. The system itself is like magic – it just works and I don’t even have to think about it. 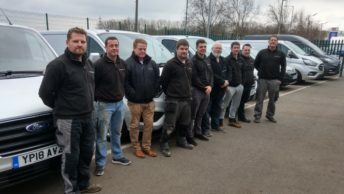 With our grandchildren often visiting, my wife and I also have the added peace of mind that it is very safe and our grandchildren are unable to scold themselves on the radiators or under the hot water tap. The RHI payments have been an added incentive to a system which is already saving me money on my heating bills.